Over at PressThink Jay Rosen observed that professional journalism has been optimized for low participation. He explains that “until a few years ago, the ‘job’ of the user was simply to receive the news and maybe send a letter to the editor.” This was a logical outcome of the available technology. “Journalists built their practices on top of a one-way, one-to-many, broadcasting system,” he noted. Books were optimized for no participation. You read. If you liked the book you could tell someone other than the author. If you were an almost-author you might get a review published. Sending a letter to the author meant sending a letter to his or her publisher and waiting months for it to be forwarded to the author. Most likely you would never hear back, which you were supposed to accept without insult because published authors were better than you. Nowadays books, like everything else, are encouraged to be social online. Matthew Ingram has joined Jeff Jarvis and Megan Garber in lamenting the walls built around books that block them from the digital conversation. Are those walls a bug or a feature? Books were not designed to deliberately block off the conversation. 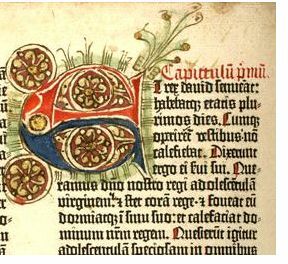 Books are an artifact of the technology available in Europe in the 15th century. Did anything change between then and now to enable conversations with books? Nope, only my mother’s book group, which met monthly for 50 years. The group provided a reason for friends to gather. There was food and conversation, not all of it about books. Books enabled the group as much as groups such as hers enabled writing and publishing. Some members of the group attended writers festivals. One of the members is a frequently-published history author. When the conversation pauses and we record it, we call that journalism. When journalism pauses and writers summarize the events, we call it history (or “Current Events” if it’s ongoing). A book is often a summation, always a proclamation. It’s not the end of the conversation, but a moment, an event in itself. We can study books, with or without their authors, and we write books about the study, books about other books. “All books talk. But a good book listens as well,” he wrote. Do good authors listen? Should they? Our notion of books and authors stems from the bible. In the beginning was the Word, and the Word was with God, and the Word was God. It’s no coincidence that the genesis of publishing is liturgical. What is an accident of history is printing and binding. Bound books do not invite active conversations. They proclaim. Definitions of the word “conversation” mostly concur that they are interactive, spontaneous and informal, and can involve both thoughts and feelings. Bound books clearly fail to afford the possibility of conversation. Do we want to converse with books? I’m intrigued by the possibility. Last summer I worked for awhile with the provocative startup Cursor/Red Lemonade. But how do we conduct the conversation? Textuality is a by-product of the form of books, their muteness. But I wonder if “socially-enabled” writing and reading is like prodding a mute to speak. Lay off. He’s deaf. He doesn’t hear you. Talk amongst yourselves. * While the proprietors and their eager funders might quibble with my categorization of some of the players, for what it’s worth my list of “social-enabled platforms for writers and readers” includes Anobii, Atria Books, Book Country, Book Oven, BookBox, BookGlutton, BookRiff, BookTrix, Commentpress, Cursor/Red Lemonade, Facebook, FastPencil, Figment, Goodreads, MobNotate, Odyl, SharedBook, Small Demons, SocialBook, iAmplify, inReads, Leanpub, MindTheBook, OR Books, Papercut, PUBSLUSH Press, ReadCLoud, Readom, Ubimark, Unbound and WEbook.